The Patient Portal provides secure access to view parts of your medical record, enables communication with our practice using secure messaging, and allows you to request an appointment or prescription refills and review your account information online. If you haven’t signed up yet to access the patient portal, you can do so following the simple instructions at link below. 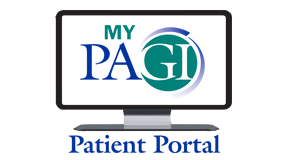 If you already signed up to access the patient portal, use link below to gain secure log-in to your medical records. If you are interested in paying your bill online, use the link below for secure access to submit an online payment.